Your “Black Friday” horses to watch from AGOS. INVIGOROUS (Race 8 @LRL, 11/16/18) – this was a deep and contentious field of good juvenile runners at Laurel Park, but this son of Congrats made easy work, drawing off to an impressive score. Under-the-radar trainer Miguel Vera appears to have a talented colt that could go through his conditions this winter. BACCARAT FASHION (Race 7 @LRL, 11/16/18) – This 3yo daughter of the speedy sire Old Fashioned lost all chance when she was steadied hard on the backstretch. Toss this performance and get better odds next time out. Fits at the 1x level where she can get the lead early. GRAN SAMAN (Race 7 @GP, 11/16/18) – Owner/Trainer Steve Klesaris had this 4yo in a good spot going 5 furlongs on the grass in Florida, but a wide trip in this short race cost the son of Candy Ride. Won previous start with Samy Camacho up, but this wasn’t one of Camacho’s smartest rides. Put these runners in your Stable Alert or Stable Mail service. ANGASTON (Race 4 at CD, 5/10/18) – this 3yo gelding took to the turf like a duck to water. His grandsire is Lonhro who is a top stallion ‘down under’ in Australia. The Lon Wiggins trainee drew off and crushed this allowance field at huge odds. He is now the 4th winner out of his dam (mother) who is by Marquetry. Can handle all surfaces but is best at one mile or under on the lawn. AWESTRUCK (Race 7 at CD, 5/10/18) – daughter of top sire Tapit has really come into her own for trainer Rusty Arnold. 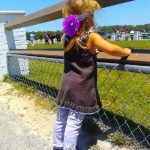 Stretching back out, packing more weight, and stepping up into “two other than” allowance optional company was no problem for the 4yo as she absolutely crushed what looked like a good, competitive field. MIDNIGHT TEA TIME (Race 4 at CD, KY Derby Day, 5/5/18) – lightly raced son of Midnight Lute looked like a winner in this maiden special weights event but was blocked badly in the stretch run, costing him the chance for the win. Out of a stakes winning Dynaformer mare. BEHAVIORAL BIAS (Race 5 at CD, KY Derby Day, 5/5/18) – This Al Stall, Jr. runner made a bold, wide move at the top of the lane to hook the strong favorite McCracken and battled gamely with that runner in the stretch run. This allowance race played like a stakes race. Consistent, talented son of Shackleford will get a stakes win soon. AUDIBLE (Race 12 at CD, KY Derby, 5/5/18) – Florida Derby winner was the best of the closers and he finished willingly up the rail to just miss 2nd to Good Magic in a very good performance. RIVERBOAT GAMBLER (Race 2 at KEE, 4/18/18) – this first timer by the speedy Justin Phillip was put in a difficult spot breaking from the rail going 7 furlongs in his debut. Despite those obstacles the Barbara Minshall runner ran very well and got for second behind a runaway winner. He’s owned by Bruce Lunsford who has had a lot of talented runners. SPARTAN PRIDE (Race 9 at PRX, 5/7/18) – rallied strongly against the bias and against a slow pace scenario to just miss in this claiming route race to the logical winner. This was his second consecutive unlucky trip. Impressive effort. WONDER GADOT (Race 11, KY Oaks, CD 5/4/18) – 3yo daughter of Medaglia D’oro ran a huge race behind the Brad Cox beast. Looked like she had the winner collared in mid stretch but that one fought back gamely to win the G1 Kentucky Oaks. This Mark Casse runner is bread to run all day, and she will be very tough to beat next time out. 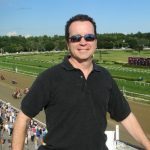 BACKYARD HEAVEN (Race 8, CD 5/4/18) – trainer Chad Brown has a real nice one on his hands (what else is new?). This 4yo son of Tizway stepped up from bottom allowance company and won the G2 Alysheba so easily. He looks like he is going to be a major player in the handicap ranks this year. BUGLE NOTES (Race 3, CD 5/4/18) – trainer Todd Pletcher debuted this 3yo son of Ghostzapper and the colt had every reason to lose. He broke slowly and then raced wide on the backstretch, but then he made a menacing move to take the lead and draw off as much the best. He is out of a Seeking The Gold mare who has produced two stakes from four foals to race. VIOLENT WAVE (Race 5 at GP, 4/6/18) – 3yo daughter of Violence closed willingly and sneaky good to just miss 2nd in a race won by the favorite. Trainer Kathy Ritvo never has her firsters cranked up to win in their debut (5% win rate) so this was a very noteworthy effort by the well-bred filly. Displayed some talent in the mornings, as well. ELECTRIC FOREST (Race 3 at KEE, 4/7/18) – well bred firster was bet down to 5/2. She broke slowly from the outside post and raced wide on the backstretch. That didn’t stop this daughter of Curlin from continuing on in the lane and running down a frontrunner who had a great trip. Big future ahead. 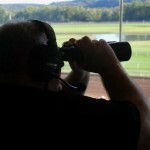 ANALYZE IT (Race 9 at KEE, 4/6/18) – what a surprise. Trainer Chad Brown has another superstar turf horse in the making. This 3yo son of Point Of Entry made easy work of a very good Grade 3 stakes field in his comeback race. He has now won all three career starts by open lengths. Total beast. WHEATFIELD (Race 8 at KEE, 4/6/18) – this six year old mare was well meant on the drop in class and shipping in from Fair Grounds. Jockey Luis Saez didn’t anticipate the trouble this one would encounter down the lane. She was badly shut off and lost all chance at the 1/8th pole. Needs pace to close into but she can rebound in the right spot. She’s best at 6 furlongs and against non-graded stakes or allowance company. ALMITHMAAR (Race 7 at KEE, 4/6/18) – gelded son of Tapit for trainer Kiaran McLaughlin ran a bang-up race second time out and appears to have a bright future for Shadwell Stables. Wouldn’t be surprised to see this guy in stakes company in the future. DANCELAND (Race 8 at KEE, 4/11/18) – sneaky terrible trip on this layoff returnee for trainer Shug McGaughey. This daughter of Tapit had “run” but was never given a chance to get into the clear and unleash her finish. A winner last summer at Saratoga, she ended up well beaten in an effort that can be easily excused. Moves forward second start back. LADY APPLE (Race 2 at KEE, 4/12/18) – 2yo daughter of star Curlin, out of a Clever Trick stakes placed mare, ran a winning race but was second best behind the well-meant Wesley Ward firster Dragic. Great pedigree and solid barn. Should be very tough in second career start, pretty much anywhere. FERDINANDA (race 5 at GP, 3/31/18 FL Derby Day) – this daughter of Giant’s Causeway is a nose away from being three for three since trainer Barclay Tagg added Lasix. Facing stakes company for the first time she flew home to just miss by a bob to the wire-to-wire winner who benefited from modest fractions. This one will be tough next time out on the lawn. STYLE ICON (race 7 at GP, 3/31/18) – trainer Graham Motion has a nice one in this Tampa shipper. She was the only runner to close in this race and she encountered lots of trouble en route to her third place showing behind the Pletcher trainee. The daughter of top turf sire Artie Schiller has finished well in both career races. RHODE ISLAND (race 9 at GP, 3/31/18) – well meant second time starter on the grass for Shug McGaughey lost his best chance at the very start of this race. He never gave up and continued on well. This was only his second race and his first with blinkers on. Half to four turf winners. REP IPSA (race 10 at GP, 3/31/18) – despite her first race since October and facing a solid group in the G3 Honey Fox, this 5yo mare finished like a shot to just miss to the talented Lull, who took this field gate to wire. Daughter of English Channel could be set for a strong year for Ian Wilkes. TRUE SAINT (Race 1 at KEE, 4/6/18) – the first race of the spring meet featured an impressive performance from this Bret Calhoun two year old. The colt was steadied as they turned for home behind the even-money Wesley Ward frontrunner. Lost nearly two lengths in momentum and then re-rallied to run that rival down in the late stages. A lot of professionalism and talent from this baby.